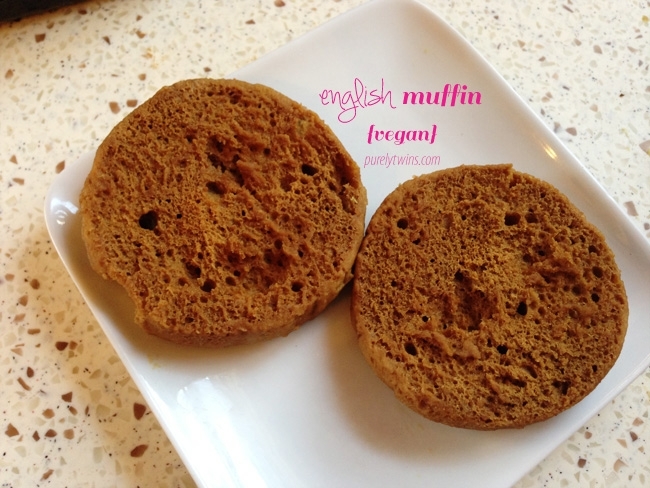 Vegan gluten free protein english muffin! A simple healthy snack or addition to breakfast. Made in a microwave so ready in a minute. In a bowl or glass measuring cup (is what we used), place all your dry ingredients (protein powder, arrowroot starch, baking soda) into the glass dish. And mix. Add in your apple cider vinegar and water. End with adding in your coconut oil. Continue to stir it all together to form a wet, paste looking batter. You can cook in the microwave (we did and used the same glass measuring cup to do it in) for 1 minute and 15 seconds, or you can pour batter into a muffin pan (lightly oiled) into 350 degree oven for about 10-12 minutes. Let cool before removing from pan. Then carefully remove from pan and slice in half. Can eat as is with favorite topping or can toast it up. We toasted ours and felt it tasted even better toasted. * Now for the water, we have done it with just 2 tablespoons water and the muffin came out. The batter was more thick before baking. Also, if you change up the protein powder and starch please add in water SLOWLY, as you may need less or more depending on the â€˜floursâ€™ used.